This is an account of the Grade of Magus, the highest grade which it is ever possible to manifest in any way whatever upon this plane. Or so it is said by the Masters of the Temple. Being the Voluntary Emancipation of a certain Exempt Adept from his Adeptship. These are the Birth Words of a Master of the Temple. An account of the relations of the Aspirant with his Holy Guardian Angel. 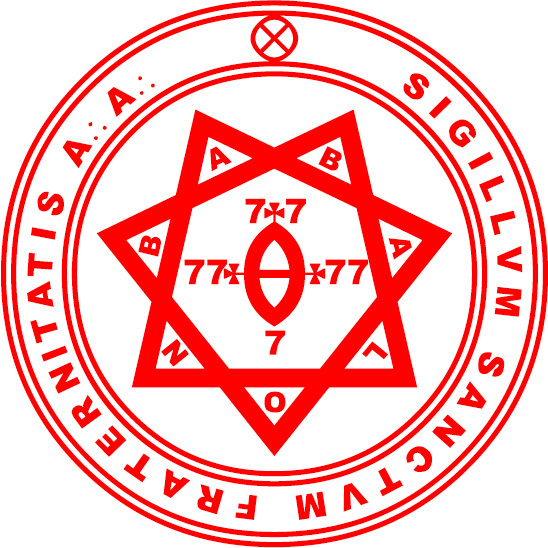 This book is given to Probationers, as the attainment of the Knowledge and Conversation of the Holy Guardian Angel is the Crown of the Outer College. Similarly Liber VII is given to Neophytes, as the grade of Master of the Temple is the next resting-place, and Liber CCXX to Zelator, since that carries him to the highest of all possible grades. Liber XXVII is given to the Practicus, as in this book is the ultimate foundation of the highest theoretical Qabalah, and Liber DCCCXIII to the Philosophus, as it is the foundation of the highest practical Qabalah. A secret ritual, the Heart of IAO- OAI, delivered unto V.V.V.V.V. for his use in a certain matter of “Liber Legis,” and written down under the figure LXVI. This book is sufficiently described by the title. An account of Initiation, and an indication as to those who are suitable for the same. This book is a perfect account of the task of the Exempt Adept, considered under the symbols of a particular plane, not the intellectual. This book is the foundation of the New Æon, and thus of the whole of our Work. This is an account of the cosmic process so far as it is indicated by the Tarot Trumps. Contains the true secret of all practical magick. A graphic interpretation of the Tarot on the plane of initiation. This book is an account of the Hexagram and the method of reducing it to the Unity, and Beyond. Only the note attached pertains to Class A. For the rest, please check Class B documents.